It has to be said that the Bordeaux Bombers have always played to their best when at home. This has always made them a formidable opponent for all visiting teams. Nevertheless, when the reigning premiers go down to the Bombers, it is a significant event, and a significant upset. It can always be argued that road trips are always at the mercy of how many of a squad (and who) can make the journey. But that problem occurs for all teams across the season – games still have to be won on the day, and that is what the Bordeaux Bombers did. They played a brand of football which saw their nine players better than their opposition across four quarters. Bordeaux got away to a good start and by half time had already moved out to a 25-point lead. Not an unassailable lead – especially for a team stocked with as much talent and the Cockerels – but it did mean that the Paris team had to outscore the Bombers by more than four goals in the second half, and that would prove a tough ask for any team. Cork, in southern Ireland, has become one of the more successful cities at growing successful teams – the Leeside Lions won back to back AFL Ireland premierships in 2016 and 2017. 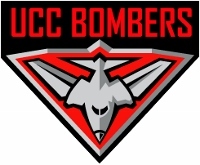 The UCC Bombers are the current holders of the Fitzpatrick Cup for universities. 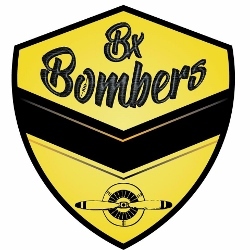 In fact, the Bombers have won the cup on three occasions in the men’s division (2013, 2017 and 2018) and also the women’s division in all three years of the women’s draw in 2016, 2017 and 2018. The rebranding and redeveloping of football in Toulouse has seen the former powerhouse, the Toulouse Hawks, initially sacrifice their results to help create the Blagnac Aviators. 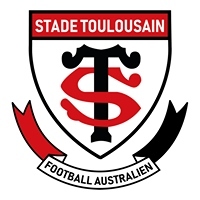 Then, as the Aviators passed into French footy history, the new two-team entity Stade Toulousain has grown in their place. The subsequent start of the new season for both Toulouse teams is cause for caution for all other French teams. It is only early in the season, yet both Toulouse teams have recorded significant victories, suggesting that there is greater depth than ever before in Toulouse and both Stade Toulousain teams will be in the running for potential finals action next year. 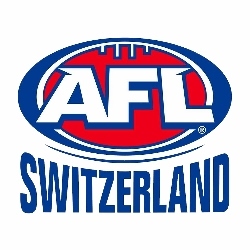 Last weekend saw the inaugural AFL Switzerland tournament. It is the first time that an all-Swiss competition has been held and featured the established Winterthur Lions club as well as the two newly formed additions – the Basel Dragons and Geneva Jets. As previously noted in an earlier story (see Swiss Sensations), the tournament was made possible through exciting growth in Switzerland. Basel, located in the north east almost at the border of Switzerland, France and Germany, have put together a team. Additionally, Geneva, in the south-east, have also gathered sufficient numbers to compete. And compete they did. Over the three match round robin, each team played two games at Deutweg Stadium in Winterthur. As reported on the www.afleurope.org website, Switzerland is set for its first official national tournament when the Winterthur Lions take on the newly created Swiss teams, the Basel Dragons and the Geneva Jets. In a relatively short time, Swiss footy has grown from one club to three, which is impressive growth of the game within a single European country by any standards. After months of preparation and planning, this Sunday will see the first Swiss tournament take place between hosts the Winterthur Lions, and newly established clubs the Basel Dragons and Geneva Jets. 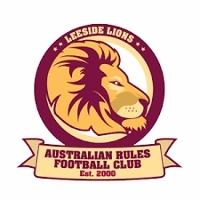 As a first for football in the nation, the 9-a-side tournament will act as the inaugural Australian Football competition in Switzerland, as the teams prepare for the first season of the Swiss League set to take place in 2019. 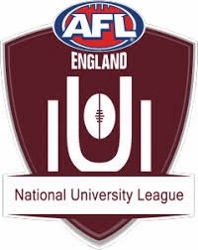 The latest initiative of AFL England, the National University League, commenced last weekend. The competition brings together the talent in men’s and women’s football across England and southern Wales and is running also as a prototype for a wider uptake across all of Europe. Cambridge University held nominal favouritism going into the event for the men’s draw, as much to do with being the host team as anything else, whilst the women’s draw was a little less predictable given the comparative lack of competition in preceding years. The competition combined players from each university who had played for the team before as well as new faces, providing a great opportunity to further grow the game in universities. 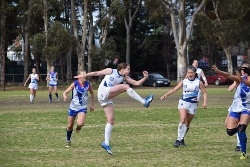 Sarah Black reports on the www.afl.com.au website about the impact that Greater Western Sydney AFLW player, Cora Staunton, has had on the women’s game in terms of more Irish women chasing an AFLW dream. The 2019 AFL Women's season will see five Irish born-and-bred players, including Staunton, on club lists. It's a noticeable increase from the two in 2018, one of whom, expat and now-delisted Demon Laura Duryea, played her football in Melbourne before being drafted. The four new recruits come from a Gaelic football background, with Sarah Rowe (Collingwood rookie), Ailish Considine (Adelaide rookie), Yvonne Bonner (GWS rookie) and Aisling McCarthy (Western Bulldogs' senior list), moving from across the world to play AFLW. As a kid in the Aussie Rules playing states of Australia, from the first time you pick up a footy and kick it around the yard you are on the path to AFL football. From the youngest ages, Auskick programs, junior clubs, representative football, school football and later academies and combines create a path to the big time. The pathways are clear and ready. Not so in Ireland. At least not as directly for Australian Football. The equivalent local pathways can take young Irish kids on a journey to club, county and country Gaelic football. But whilst on that journey, many kids – girls and boys – might learn of an opportunity to head to Australia and try AFL. Be the next Jim Stynes or Tadgh Kennelly. At this point. Careers do a complete right angled turn and Irish clubs face the prospect of losing their talent to another code – albeit related. 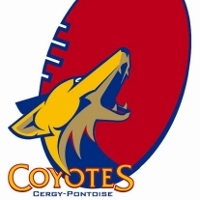 A first round falter from the Cergy-Pontoise Coyotes has been redeemed after the team enjoyed victory on the weekend over the Bordeaux Bombers. After losing their opening round match to the Paris Cockatoos, the Coyotes needed a win to stay up and about – and they got it against a determined and committed Bombers team. Playing at home, the Coyotes had an advantage. Yet, the Bombers never let the game get right way from them. In the end the Coyotes were too good, winning 100-63. The 37-point win sees the Coyotes right back in the mix for finals action. Whilst the finals series is a long way away, there are only five matches left for them before finals – like all teams – and every win is vital. With both Paris teams likely to be finals bound and at least one of the Stade Toulousain teams challenging, the Coyotes may find themselves in a battle royale with both the ALFA Lions and the fast-improving Bayonne Toreadors for a finals spot. AFL England has announced the Transatlantic Trophy on their www.aflengland.org website. Following is their story detailing the clashes which feature both men’s and women’s matches. AFL England is delighted to unveil the Transatlantic Trophy in a new reciprocal arrangement with USAFL, the national governing body for Australian rules football in the United States of America. Under the new arrangement, both the USA men’s and women’s national teams – USA Revolution and USA Freedom, respectively – will visit Great Britain in August 2021 for matches against the Bulldogs and Swans. These matches are tentatively scheduled for the 21st August 2021, with the USA expected to play warm-up games in the week prior.